Happy Thursday everyone! This is always the time of week when I start thinking weekend, even though, technically, we still have one day left. I'm hoping this is the weekend I finally finish my office cleaning and re-arranging (a work in progress for about the past 17 months), (no really though), so that I can get it painted...which I've wanted to do for the past 17.5 months. 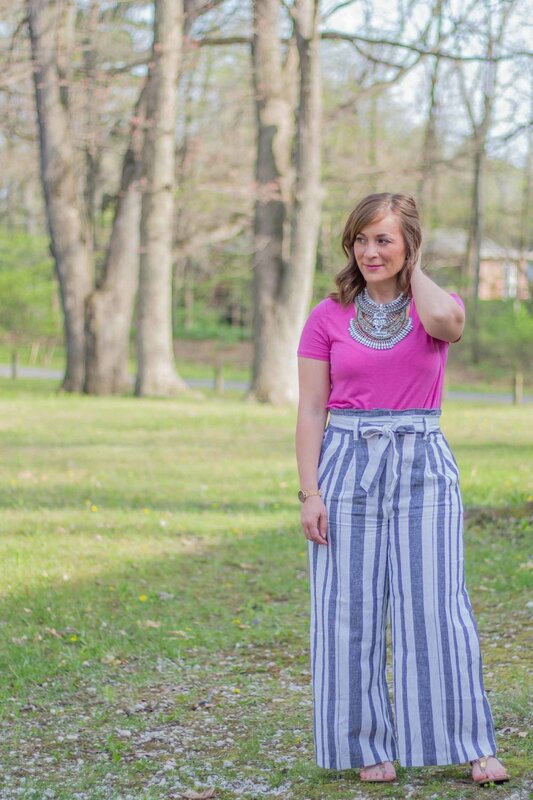 So if you're wondering what to wear with the wide leg pant silhouette, I've got some ideas for you. Since your lower half will have a lot of volume, a slimmer fit tends to look best on top - tanks, tees, long sleeve tops, denim jackets...basically anything and everything works, as long as whatever it is has a slim fit. I'm wearing a tee from the A New Day Basic Collection at Target. I have to say...I L-O-V-E LOVE this line! 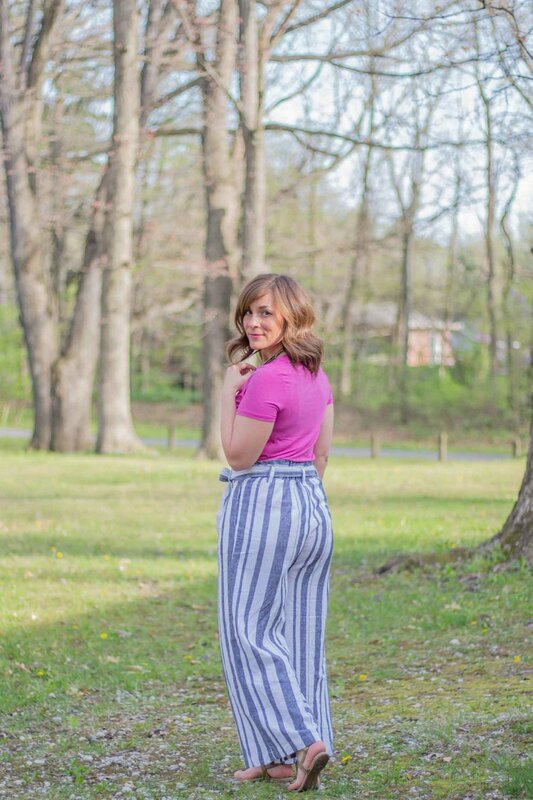 The fit, the colors, the patterns and the price ($8) makes them way too hard not to pick up and wear for everyday, or layer, or take for a little getaway. If you recognize this outfit - it's the one I was wearing in my post for the Samsung GS9+ here:) I thought it was too fun to not turn it into an outfit post however.